Remove the engine mount bracket-(1). Refer toEngine Mount Bracket Replacement.Remove the drive belt tensioner. Refer toDrive Belt Tensioner Replacement.Remove the crankshaft balancer. Refer toCrankshaft Balancer Replacement.Disconnect the oxygen sensor harness from the front cover andreposition. 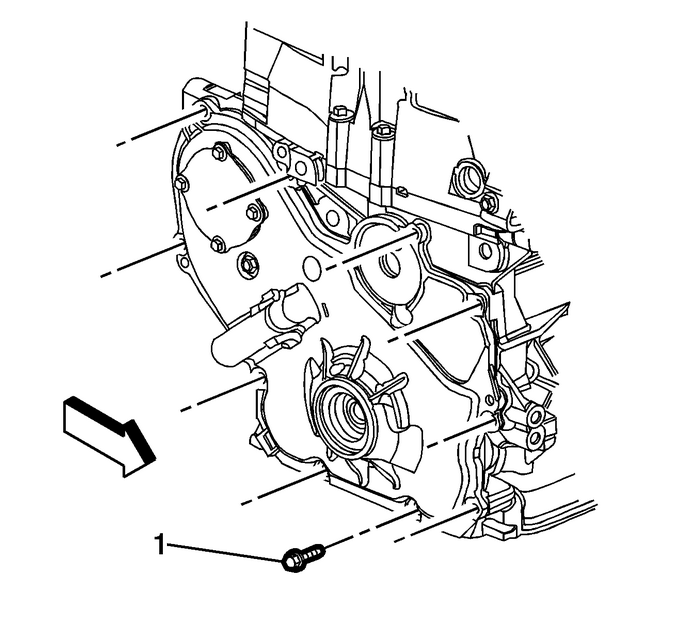 Remove the engine front cover to water pumpbolt-(1). Raise and suitably support the vehicle. Refer toLifting and Jacking the Vehicle.Remove the engine front cover bolts-(1).Remove the engine front cover. 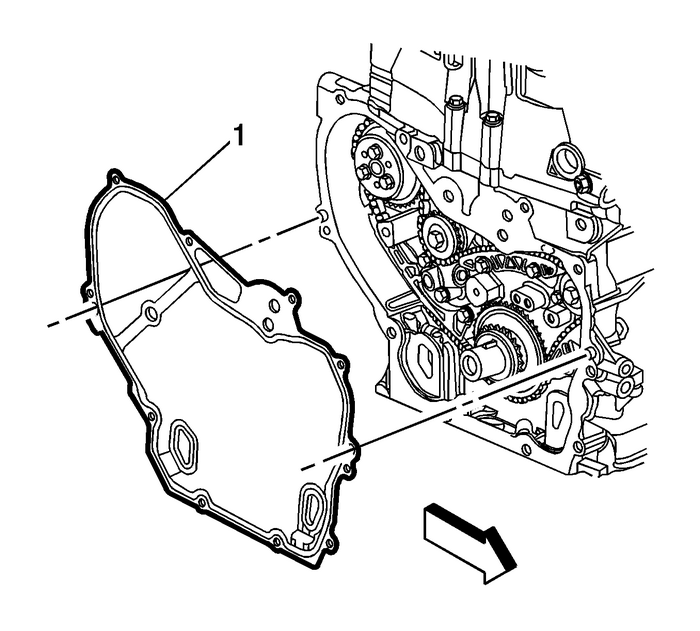 Install a NEW engine front cover gasket-(1) to thedowel pins.Install the engine front cover. Install the engine front cover bolts-(1) andtighten to25-Y(18-lb-ft).Lower the vehicle. Install the engine front cover to water pumpbolt-(1) and tighten to25-Y(18-lb-ft). Reposition the oxygen sensor harness to the frontcover.Install the crankshaft balancer. 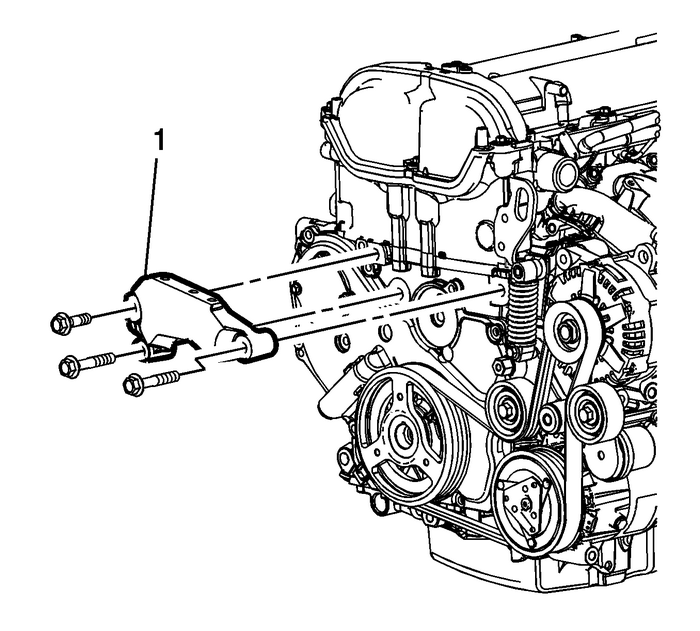 Refer toCrankshaft Balancer Replacement.Install the drive belt tensioner. 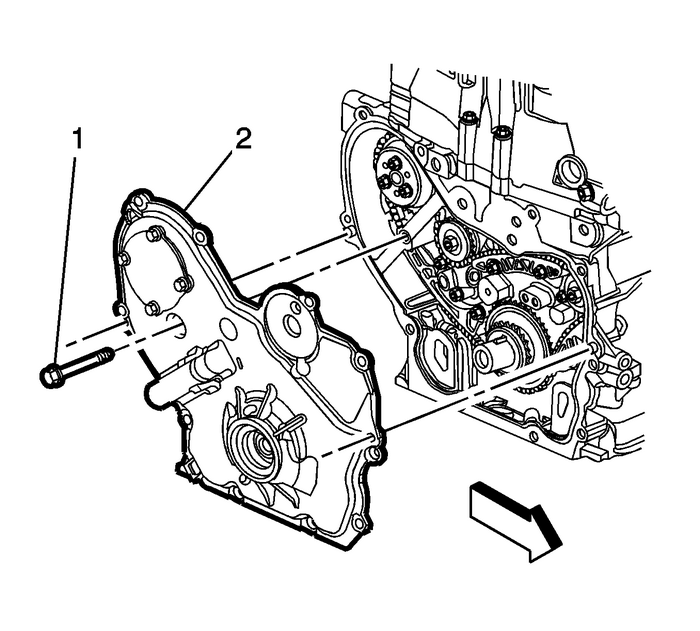 Refer toDrive Belt Tensioner Replacement.Install the engine mount bracket-(1). Refer toEngine Mount Bracket Replacement.